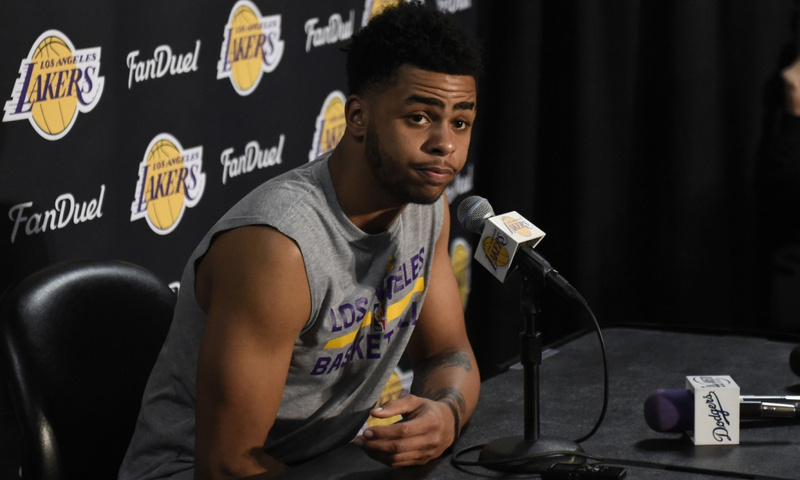 Lakers point guard D'Angelo Russell, the 2nd overall pick in 2015, tried to prank Nick Young by recording him about chearing on fiancée Iggy Azalea. Somehow, the video got out, which led to Lakers players shutting out Russell. While speaking to the media, the rookie reiterated that he doesn't know how the video got out, but of course the damage is done. Chances are Russell won't be traded for this, but Young aka Swaggy P might get released to give the 20-year-old offender a fresh start. Clippers point guard Chris Paul has withdrawn from Team USA consideration for the 2016 Olympics in Rio. Having won gold medals in '08 and '12, after more than a decade of contribution to USA basketball, Paul decided in March to end his international career. With guys like Stephen Curry, Russell Westbrook, Mike Conley, John Wall, Kyrie Irving and Damian Lillard on the list of 30 finalists, the 30-year-old playmaker said that "a new generation is on the way", stating that he wants to spend more time with his kids. Stephen Curry and the Warriors are currently sitting at 68-7, tied for the fourth-most wins ever in an NBA season. According to FiveThirtyEight, the team has a 85 percent chance of breaking the 1995-96 Chicago Bulls' record of 72 wins and a 97 percent chance of at least tying it. Injuries have been running rampant this season. Tiago Splitter, Jarrett Jack, Wilson Chandler, Marc Gasol, Joel Embiid, Eric Bledsoe and Dante Exum were declared out for the season earlier in the year, and they were joined in March by Joakim Noah (shoulder), Jeremy Evans (shoulder), O.J. Mayo (ankle) and Michael Carter-Williams (hip) from the Bucks, Alonzo Gee (quadriceps), Jrue Holiday (eye), Anthony Davis (shoulder), Eric Grodon (finger) and Tyreke Evans (knee) from the Pelicans, Tony Wroten (knee), Jahlil Okafor (knee), Meyers Leonard (shoulder) and Chandler Parsons (knee). There have some rumblings that LBJ isn't happy in Cleveland and that he may leave Cleveland once again this summer. Will he give up the chance to bring a title to Cleveland if the team doesn't go anywhere? Only time will tell. Young Bucks star Giannis Antetokounmpo, nicknamed "The Greek Freak", has recently moved to point guard, becoming the largest and most physically overwhelming player at the position. In 15 games Giannis has averaged 20 points, 10 rebounds and seven assists, including four triple-doubles. It's scary that he's still learning the game and how to apply all his gifts on the court.